Wilmette is located 14 miles north of downtown Chicago and 3 miles north of Chicago's northern border, just north of Evanston. It is one of the larger communities on the North Shore, with a population of just over 27,000. With a median family income of $133,777 in 2005, Wilmette is the fifth most affluent suburb on the North Shore. Relative to other North Shore suburbs (except Evanston), Wilmette tends to be more economically and culturally diverse. It is a socially liberal, welcoming community that values education and family life. 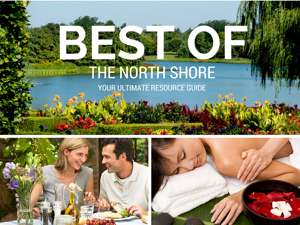 In 2015, Wilmette was ranked as the #1 Best Place to Live in Illinois by HomeSnacks.com. In 2007, Wilmette was ranked as the seventh best place in the US to raise children by Business Week. The schools are excellent and there are many wonderful amenities, including a terrific park system, an excellent public library and beautiful beaches. There are dozens of churches and temples in Wilmette, many of which are architecturally significant. The most famous is the Baha'i House of Worship, which was constructed between 1920 and 1953 and draws visitors from around the world. 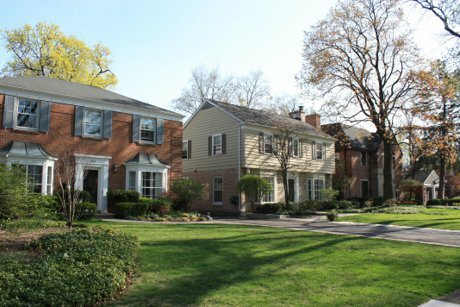 Housing stock in Wilmette is predominantly single-family homes, though there are town-homes, condominiums and apartments scattered throughout the village. Prices for single family homes range from $350,000 to $4,500,000, with a median price of around $600,000. East of Green Bay Road, houses are larger and mainly traditional in style. Moving west there are more modest-sized houses of varying styles available. There is almost no vacant land available in Wilmette, so any new construction is infill from tear-downs in mature neighborhoods. Wilmette is served by Wilmette Public Schools District 39, which includes four elementary schools (grades K-4): Harper, McKenzie, Central and Romona, Highcrest Middle School (grades 5-6), and Wilmette Junior High School (grades7-8). A small part of Wilmette is served by Avoca School District 37's West School and Marie Murphy School . Wilmette students attend New Trier Township High School, whose freshman campus is located in nearby Northfield. Older grades attend the Winnetka campus. New Trier is widely recognized as one of the best high schools in the country. There are a number of other private and parochial schools in the area, including North Shore Country Day School, St. Francis Xavier, St. Joseph, Ronald Knox Montessori School and the Baker Demonstration School. Wilmette is also home to two Catholic High Schools: Loyola Academy and Regina Dominican. Residents of Wilmette can take full advantage of the lake and the beachfront. Gillson Park has beaches, a marina, a dog beach and an outdoor theater. Centennial Recreation Complex has public swimming pools, tennis and ice-skating facilities. There are many smaller parks scattered throughout the community and there is a Forest Preserve extending north and south with walking and biking trails. The Wilmette Golf Club is located on the west side of town. Wilmette has excellent youth sports programs for baseball, soccer, ice hockey and tennis. During summer months residents can buy fresh produce and baked goods at the French Market and enjoy free concerts at the Plaza del Lago shopping center. Commuters have a choice of rapid transit systems. The Union Pacific Metra goes south to the Ogilvy Transportation Center in downtown Chicago and north to Waukegan. 'L' riders can take the Purple Line into the city from Linden Street in Wilmette. The village is also served by the PACE suburban bus system. In 2012 Wilmette was ranked the #2 Chicago suburb for 'transit-friendliness' by DePaul University's Chaddock Institute. Wilmette was the first community in Illinois to enact a ban on smoking in public places, in 2004. Have questions? We have answers! Just send us an email here.